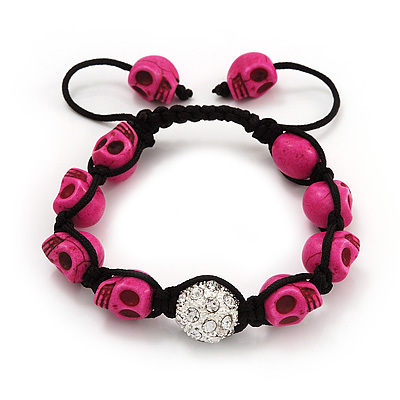 Shamballa bracelets are the latest fashion jewellery trend across America and Western Europe. 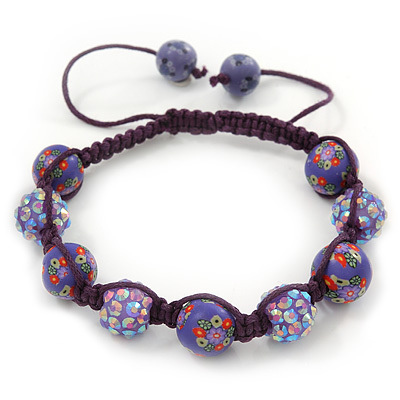 Many celebrities from fashion and music scene have been spotted wearing these beautiful Buddhist-inspired bracelets. 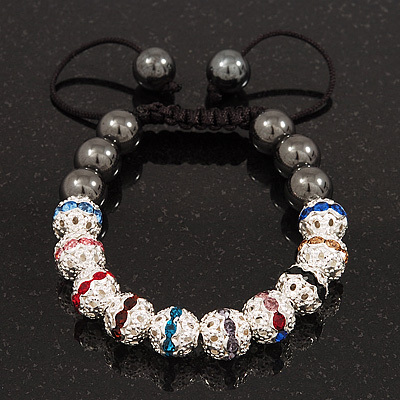 Shamballa bracelet have become even more popular after A-list celebrities such as Jay-Z, P Diddy, Beyonce , Kim Kardashian and JLS appeared wearing them and trend was firmly set for the devoted fans. It was then picked up by the rest of fashion hungry public and now if you walk out on the streets there surely will be many people wearing them. 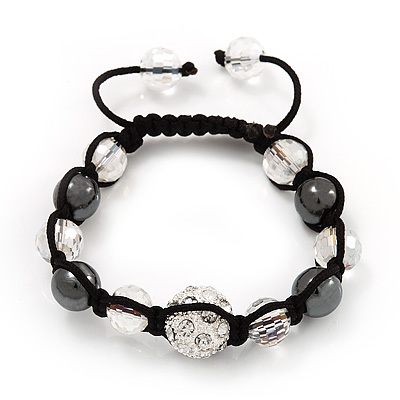 Shamballa bracelets were traditionally made from hematite beads and metal, but over time the materials used were taken from the fashion trends at the time of making. 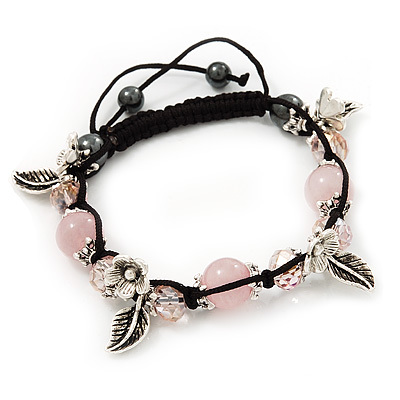 Many modern fashion jewellery designs utilise Swarovski crystals, cubic zirconia, plastic, resin, metal or hematite beads, while the more expensive fine jewellery designs would usually have precious gemstones or diamonds. 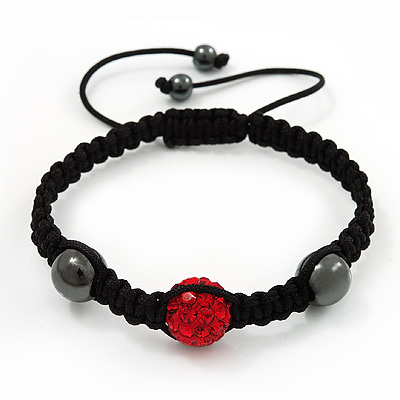 Many Shamballa bracelets are made from waxed linen or nylon string featuring a traditional macramé manual toggle locking mechanism. 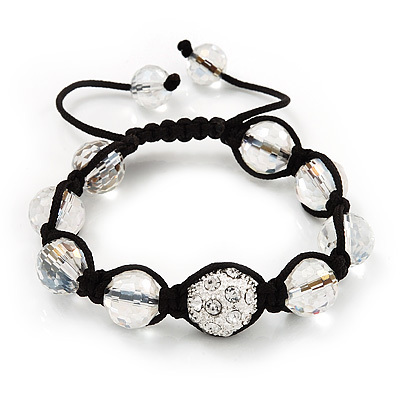 The popular design element of Shamballa bracelets is a "disco ball" bead which looks like a tiny silver ball with lots of small shiny crystals evenly spread around them to create the characteristic "disco" play of light. 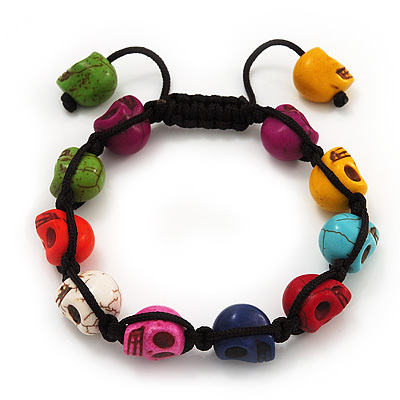 In Tibetan Buddhist tradition Shamballa (also spelled Shambhala or Shambala, Shambhala or Shangri-la) is a mythical kingdom hidden somewhere in Inner Asia. Over the years Shambhala became an epitome of Pure Land in Buddhism. It is a fabulous kingdom which took more spiritual meaning rather than just physical or geographic. The Shambhala myth reached Western cultures as the place of pure spiritual being. 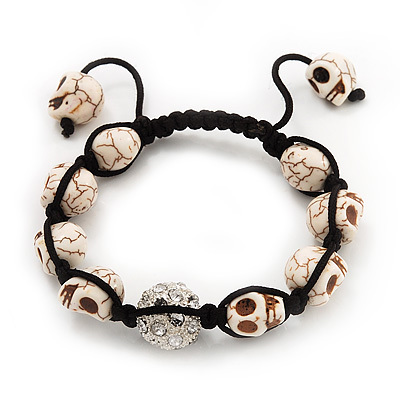 Shamballa bracelets generally express deeply personal connections to epic notions like karma, inner peace, tranquillity and happiness. 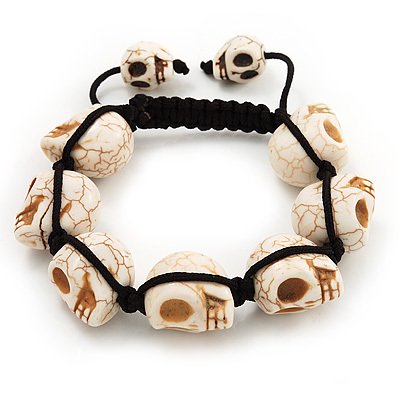 Many western people began to wear them during yoga sessions, meditation and martial arts practice, although usually the bracelet is bought as a latest fashion trend accessory to be worn every day. 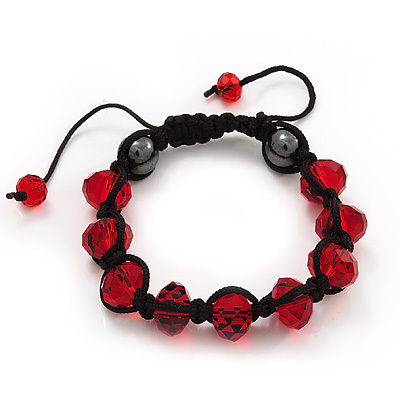 There are may ideas as to what Shamballa bracelet represents and it's meaning is usually a personal choice, but the general idea that is commonly associated with it is to promote one's health and well-being. It is also one of the hottest accessories right now and is a "must-have" for any fashion conscious individual!